Follow us the Speeds a family of 4 on our days out. We are Jaime (Mum), Chris (Dad), Mollie (age 10) and Emily (age 8). We live in Gorleston near Great Yarmouth (Norfolk) and love to get out of the house. We hope you enjoy our days out. TO ENTER OUR COMPETITION TO WIN 10 TICKETS TO THIS EVENT PLEASE CLICK HERE!!! 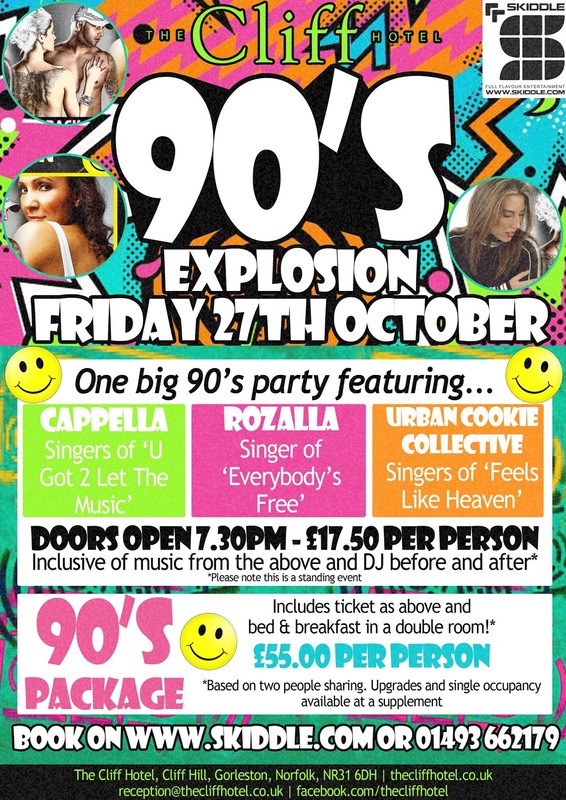 Join the Cliff Hotel for a totally 90's Explosion! on Friday 27th October. 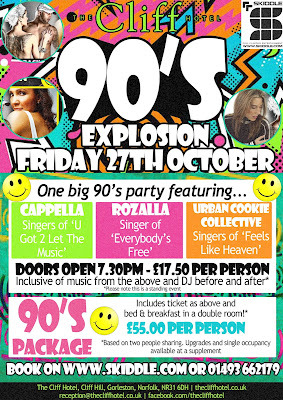 Tickets are just £17.50 per person and not only include these fabulous artists and we don't mean tribute acts but the ACTUAL artists, but the Cliff Hotel's resident DJ Chris Speed will be at the decks to warm you up with a mix of the 90's greatest hits and then bringing the night to a close with fantastic tunes from the decade. Lovely Ladybirds with Norfolk Rocks!